Divorce is one of the most challenging situations you can face; but you shouldn’t do it alone! While everyone understands the importance of looking for divorce advice in Hillsborough County and consulting divorce attorneys in Tampa as soon as divorce becomes a reality. During a divorce, you may feel alone, and it’s natural to seek out the advice and support you need. That’s where counseling comes in. Counseling can take some of the pressure off you during a divorce by helping you heal and cope emotionally during this difficult time. No one is “ready” for divorce, but with the help of a counselor, you can face it day by day knowing you have the clarity of mind to make the right choices as you work through a divorce in Hillsborough County. It might seem hard now, but if you take the long view of your situation you can find dozens of professionals who are willing to work with you on the specific issues that trouble you. Grief and mourning are natural parts of any change life change, including a divorce. Going through a divorce in Tampa, Florida means changing your emotional landscape and accepting that some plans, hopes and beliefs may not come to fruition. Grief counselors recognize the special issues that come with mourning, and help you put the changes in perspective. There is no magic cure for the problems of divorce, but grief counseling means compassionate, heart-centered care that can make a big difference. Grief counselors are often credentialed professionals who have worked with people who need care they can trust and rely on. Coming to terms with grief is a valuable first step in dealing with a divorce, moving beyond the chaos of a divorce in Tampa, FL and understanding there are important things you can do now to make your future better. 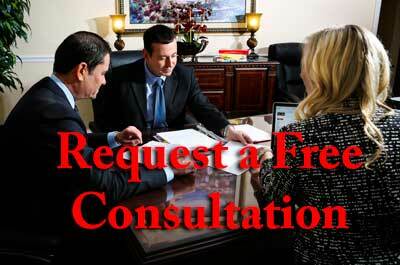 Relationship counseling can be a critical element in a successful Tampa, FL divorce. While staying realistic about what counseling can achieve, it might be possible to stop the process by making a shared commitment to seek the advice of a relationship expert. Relationship counselors have the skills to examine how people interact and uncover the communication issues that cause strain and tension in a marriage. Some relationship counselors also specialize in post-marriage counseling for parents who share custody of children. Family counseling can help children realize that the divorce is an adult decision not “caused” by anything they did or didn’t do. Counselors can help you overcome issues that might be standing in the way of building the positive relationships you want. That’s why more and more people have come to recognize the importance of relationship counseling when a pattern of unfulfilling relationships has created life problems. Religious counseling can help you before, during, and after your divorce in Hillsborough County. Many spiritual leaders, regardless of their faith, have the skills and training to advise you about understanding the challenges you face in terms of your faith. If you are feeling alone and disconnected, a Tampa, FL divorce might be a good time to find a spiritual community that can provide a sense of comfort and safety among like-minded people. Outside of the congregation, you can also find private practice counselors whose work is centered on their religious faith. Many times, their credentials in psychology, social work, or other counseling disciplines include a past or present religious vocation that helps them dispense spiritual insight relevant to your Tampa divorce. Even so, you shouldn’t be afraid to question religious counselors candidly about their beliefs, background, and approach. The Tampa Bay Area is one of the counseling hubs of the state of Florida. Remember that your reaction to your divorce in Hillsborough County is natural and normal, whatever form it takes, and you have access to the resources that can help. After the mourning period discussed above, many people react to divorce with depression, or feel anxiety about what will happen next. If either of these describes you, you may be able to find help in the “General Counseling” list below. Whatever you decide, remember that deciding to accept counseling is an investment in your long-term health. It may seem impossible today, but eventually your Tampa divorce will be over. The help of a counselor might make the difference in helping you engage in positive life choices. As your relationship with your counselor grows, your ability to change your perspective on the rest of your world is sure to improve as well.